Home Justo the MC The Lost Info Justo the MC & The Lost Info - "Epiphany: The Lost Project"
Justo the MC & The Lost Info - "Epiphany: The Lost Project"
Justo The MC and The Lost Info have joined forces, creating a hip hop odd couple fusing a Brooklyn, NY (USA) lyrical marksmen with a Toronto Based Powerhouse Production Team.This match made in heaven, formed by a Sound Cloud follow and a few emails has created a four headed monster pairing the East Coast with the North of the border in an unexpected and undeniable sound of raw unfiltered hip hop. Justo, who brings the lyrics, hails from the projects of East New York and has been an mcee for almost 15 years.He got his first big break in 2011 when he and older cousin Vic Black of the Gangstarr foundation released his first single "It's Our Year". The video for the track featured living legend DJ Premier, solidifying Justo's stamp of approval from one of the greats. Since then he has gone on to release several mixtapes including his most notable with another hip hop pioneer, Showbiz of D.I.T.C. The project entitled, "Black Ops" was released June 2017 & is a compilation of tracks dedicated to Showbiz's "Rare Breaks" tapes. On the production side The Lost Info is a three man beat making crew consisting of Ol Man 80zz aka Major (Toronto), Futurewave (Rexdale) & Blanxx (Brampton). The Ontario, Canada natives started on separate paths, but found a connection & respect for each other due to their mutual love for music and music making. One of their first big breaks as a collective was winning the iStandard Producer Showcase held in Toronto. This opened the door not only for new opportunities, but for the confidence to move forward as one. In their collective history The Lost Info have gone on to work with artist like, A-Alikes, Mos Def, Delorean, the legendary Citizen Kane, Heem Stogied, Mookie Jones, Copywrite, PH, The God Fahim, Grindhouse Project, Trace Motivate & many more. The Lost Info and Justo The MC have now combined their talents and experiences to create a soulful, lyrical, universal and highly original "flava" bridging an old school foundation with a new school flair. 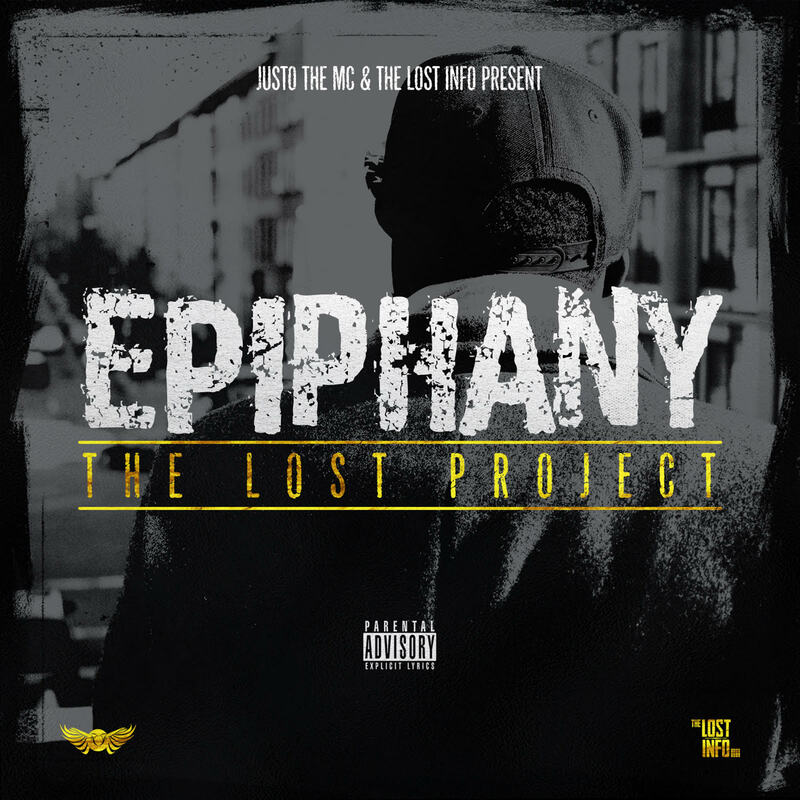 Their first official project​,​ Epiphany: The Lost Project​,​ is set to be a game changer in its unique, yet nostalgic hip hop sound and delivery. Between Justo's timeless bars and smooth approach to each track combined with The Lost Info's melodic, jazzy, hard-hitting and neck breaking variety of beats, it's easy to see why both sides agree this is just the beginning of a lethal combination.